1. Reading – I have several non-fiction books in from the library. 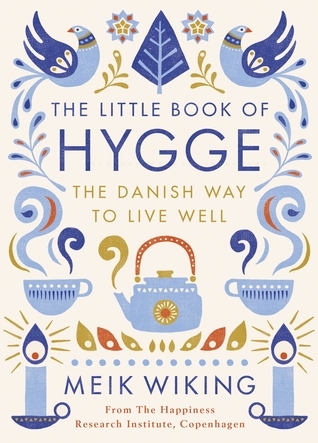 I’m currently reading The Little Book of Hygge by Meik Wiking. I know I’m late to the game with this one, which had received a lot of hype last year. I’m totally reading this book in the wrong season and should be sitting in front of a fire, wrapped up in blankets to truly be hyggeligt! 2. Watching – This past week my husband and I did a lot of movie watching! We watched Lady Bird, Molly’s Game and Three Billboards Outside Ebbing, Missouri. They were all really good, although I was a bit disappointed with the ending of Three Billboards. 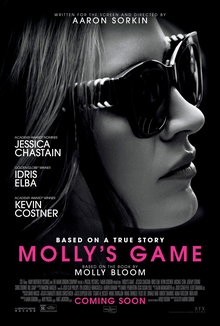 I didn’t realize that Molly’s Game is based on a true story book. 3. Eating – Fried Chicken Sandwiches. I love a good fried chicken sandwich. Luckily, I don’t indulge too often. A Melt Shop opened recently in Westchester County. We visited last weekend and one of the items we tried was this fried chicken sandwich. It was really good! 4. Celebrating – My son’s moving up ceremony. Our elementary school only goes up to 4th grade, so next year he will be attending the middle school with his sister. Tuesday was his moving up ceremony, which was followed by a class pool party. It was a busy but fun day. We are so proud of all that he accomplished during his elementary school years and are excited to see where his middle school journey will lead. 5. Father’s Day – On Father’s Day, we went out to lunch with my in-laws and brother-in-law. We went to a local brewery and then went out for ice cream after. It was a really hot day so we didn’t do the river walk like we had planned. But we got to enjoy some good family time and relax later that evening as well. This week on the blog I posted 5 Instant Pot Chicken Recipes Worth Making. Sharing with Friday Favorites! Have a great weekend!